Why this desperation to win? Cricketers are getting the wrong kind of attention at the moment. When it should be their wonderful skills we should be marvelling at, it is their behaviour that is catching the eye and making headlines. I guess the modern way of playing the game does not help either. You need to be seen as an aggressive player, whether you are batting, bowling or fielding. That is the ‘in thing’ now. That is how you get attention. The low-profile, undemonstrative, internally aggressive players like Ajinkya Rahane, for example, are not the brands used to market or promote cricket. Our television cameras tend to follow the more animated person on the field, often at the cost of a quiet, subdued bowler who has just got a wicket. The cameras are stationed on that exuberant player on the field who has neither taken a wicket nor a catch, he is just pumped up after that wicket. So, he is the person you see on the screen. But, this is a double-edged sword. It is just a small step from there in the wrong direction, like instead of pumping your fist in the air and saying something to no one in particular, you do this looking at the batsman. Boom! You invite the wrath of the match referee and the ICC code of conduct kicks in... oops. The media then has a field day with this—a side story has become more attractive than just plain cricketing action, which is another fallout of excessive cricket, I think. YouTube videos of Kagiso Rabada making shoulder contact with Steve Smith have more views than a beautiful cover drive by Virat Kohli. I have been understanding of players losing their cool and doing things they regret later. After all, these are mostly 20-year-old athletes, not a bunch of nerds who will behave like good boys in a classroom. If they were the latter, they would not be playing cricket for their country. But, what really gets to me is cheating, especially when it is a well thought-out, premeditated plan, like with the Australians in the Newlands Test in South Africa. My first reaction to this is always—why this desperation to win? It is just a sport, not a matter of life and death. Even if you are a sportsman, one must never confuse sport with life. Just like the great West Indian sides of the 1980s and 1990s, whose countries’ culture kept them grounded. They never lost sight of the fact that cricket was paying their bills, but it was not life. Australians are not that worldly-wise. They play cricket like their life depends on it. They are not cheaters, have never been. But, their motto is to win at all costs. Greg Chappell got one of his players to bowl underarm to win a game. That was not cheating; it was finding a hole in the laws of the game, but it showed the desperation to win. Sledging and hustling are used to win games, and they naively believe these are some of the important ingredients to be a winning team. They are getting a reality check now. They still do all those things, but are not able to win as much. Why? Because their skills have diminished. Used to winning all the time in the past and not being able to win as much today may have pushed Steve Smith to go beyond the sledging... to cheat. But, he misjudged the Australian public. Australians love their sportsmen, but they do not like them cheating, hence this outcry over what is only a second-level offence in the ICC code of conduct. The Australian prime minister was one of the first to express his anger at the incident. 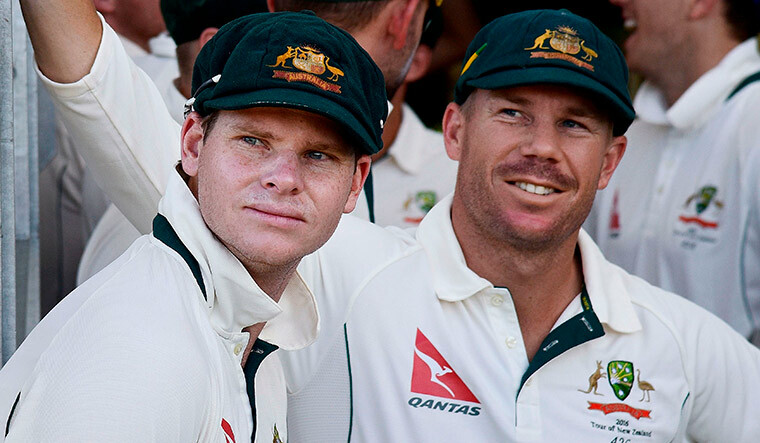 Steve Smith may have to pay a heavier price than others who were caught ball tampering because of this. He will have to learn the truth the hard way—his country is not as desperate to win as his team is.